Kia Motors India is a part of Kia Motors’ Corporation, Korea’s oldest vehicle manufacturer. Kia has a huge network of distributors and dealerships across the World covering over 180 countries. 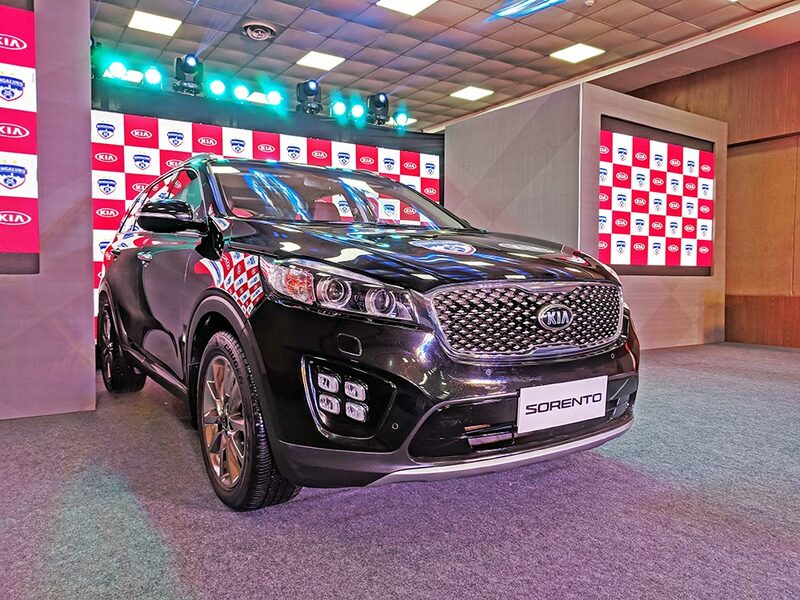 In India, Kia is just getting started and has also showcased its future SP concept – which is expected to be officially launched in second half of next year. 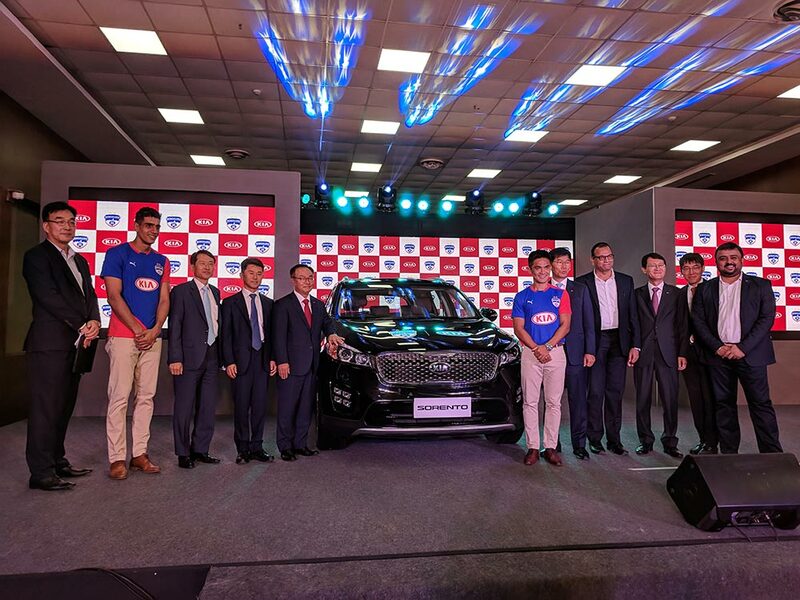 KIA Motors India partnered with Bengaluru FC a recent sensation in Football which is a growing sport in India and are two-time winners of I-League and Federation Cup. Kia aspires to be a household brand name across India and the company has revealed it has got few unique offerings for Indian market. GaadiKey talked to 2 senior members of Kia Motors India who were appointed last year – Manohar Bhat and Yong S. Kim who has decades of experience in car-industry. GaadiKey: What will be the Kia’s brand differentiation in crowded auto-space in India consisting of Maruti, Hyundai, Tata, Mahindra, Honda etc? Kia is known for quality – we offer differentiation in terms of brand quality and trust. Our presence is across the World and we would like to bring quality cars to India. Kia will bring in premium offerings to customers here. GaadiKey: What type of new Form-factors is Kia planning to bring to Indian auto industry? Q: What Kind of Image is Kia trying to project to its Indian customers? Kia has got a wide range of cars across segments from Rio to Stinger. We shall bring in the cars to India as market demands. Q: Would Kia’s first car be an Electric car? Your take on EV Infrastructure? No. For a new brand entering a new market bringing an EV at the beginning of its journey doesn’t make sense. Of course there is a growing traction for Electric vehicles across the world and it has managed to capture 4-5% in US alone. We cannot enter Indian market directly by launching EV cars – as the market is not matured and dealerships solely cannot operate stocking up EVs where there is no real demand just yet from the customers. The Infrastructure for EV is a collective challenge faced by Auto Industry across the world. Q: Would Kia be following the footsteps of Hyundai – Advantage Hyundai in India? We are 2 different companies – Hyundai is different. Kia is different. There will be only mutual synergies between Kia and Hyundai in terms of sharing the R&D centres etc. Our product lines and offerings are very distinct from Hyundai. We have our own roadmap – product strategies and directions are different from Hyundai. Q: What will be name of the SP concept car showcased? We are crowd-sourcing name for our upcoming car based on SP concept. The name for upcoming car based on Kia SP concept is not finalyzed yet.